The lilacs are finally in bloom! 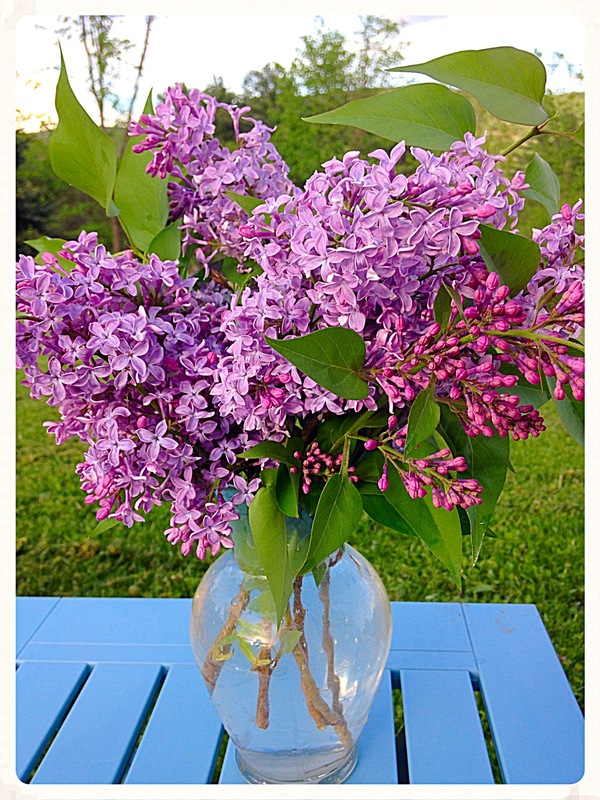 I could bury my nose in their wonderful scent all day long! This week’s dish can’t even be defined as a recipe, it’s more like a set of instructions! A few weeks ago I was going to book club and instead of a green salad, I wanted to do something that was a little bit out of the box, was delicious, and the most important thing, I had about 15 minutes to put it together! 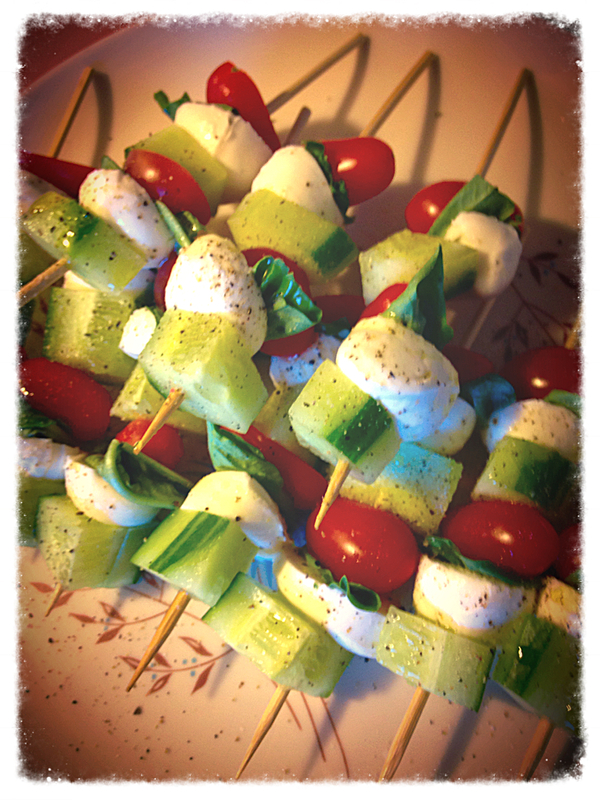 So I created these vegetable kebabs, which can be used as an appetizer or in place of salad for dinner. Veggies, a little bit of cheese, and the flavor of fresh basil, they even make for a wonderful for lunch! Once you have everything chopped and ready to go, it really is done in 15 minutes! I made mine with chunks of European cucumber, a baby mozzarella ball, a piece of fresh basil, and grape tomato sliced in half. I topped with some salt and pepper and a little drizzle of extra virgin olive oil. I thought a sprinkle of balsamic vinegar could be a good addition, too. I kept the order the same and made two rounds on the skewer. The skewers I have are six-inches long, just the right size, since these aren’t going on the grill. You can make these with pieces of meat (think salami, spicy ham), different veggies (red, yellow, and orange peppers would be great! ), with or without cheese, even fruit. Think about what flavors will go with what vegetables. Basil is the perfect herb since it is flat. I can’t think of another herb that would work quite as well, can you? I have a potluck dinner to attend later on this week and will be toting these along. I think the kebabs are going to be made a lot in the coming months—a no-cook meal, they are perfect for those evenings when it’s too hot to turn on the stove! As I sat down wondering what I would endorse this week, my mind wandered to my adventures this past weekend. It’s garage sale season, and you will never know what kind of cookbooks you will find! 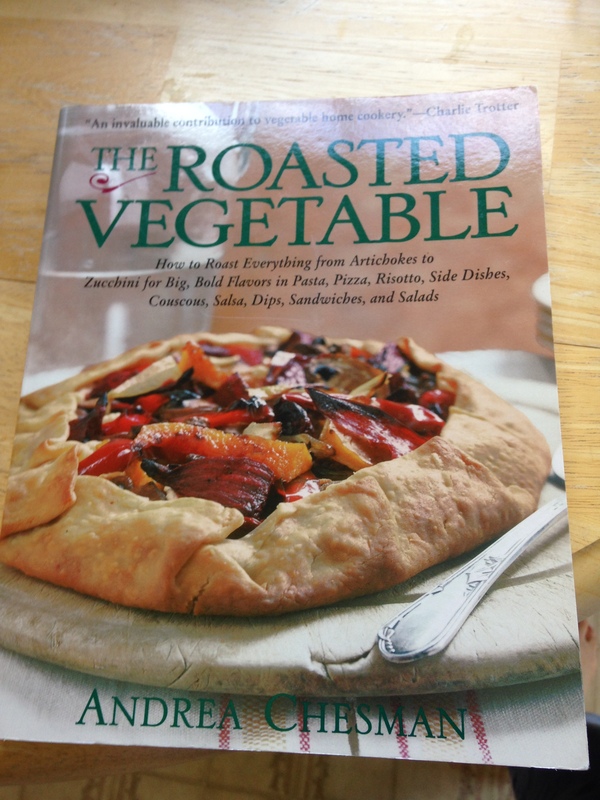 I found this cookbook by local food writer, Andrea Chesman. I have a couple of her books and the recipes are always great. The book was in perfect condition and I paid $1 for it! (The price was .50, but since it was for the historical society, I said they could keep the change, big spender that I am!) So now that it is warmer weather, get out and check out some book sales! You may never know what gems you will find! Love the skewer idea! We make tomato, mozzarella and basil salad often for family gatherings. I am going to try the skewers with those ingredients, but also with other veggies to encourage the meat eaters to vary their diet!! Thanks! What a great idea! Perfect pool party food. Definitely pool party food! 🙂 I didn’t even think of that!